Growing up in the '90s was interesting. Technology at this point was booming, but if you look back at this time period now, it's comical how we used to live. They were first-world problems! Here are 18 things kids born after the year 2000 just won't understand. Leave a COMMENT on Facebook letting us know which of these you loved the most. 1. A scratched CD was probably the worst thing that could've happened to you. Didn't matter how many times you blew on it and rubbed it, your songs would still skip. But you still put it in anyway, hoping that your favorite song didn't skip. 2. If you had one of these, then you are pretty amazing. This just proves that you are on top of your music, and you're always downloading the hottest and newest songs. 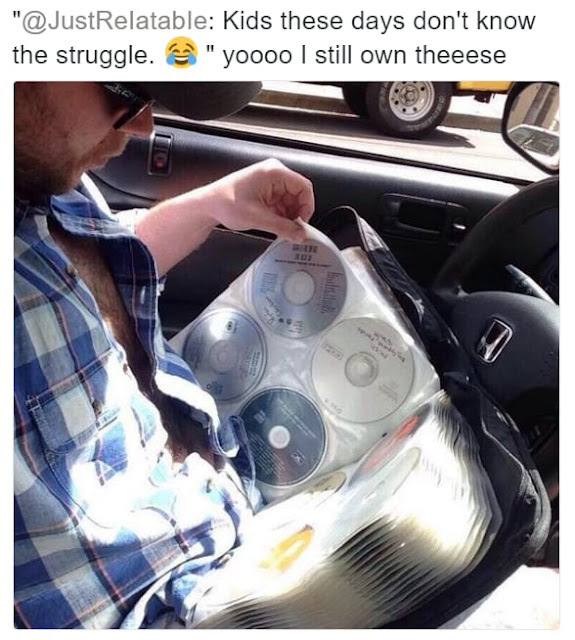 I used to have mad respect for people with the biggest book of CDs. 3. VHS tapes were awesome, but they were so annoying to use. 4. OH NO! This picture is reminding me of so many awful memories. The flashbacks are just too much for me to handle at the moment. I wonder how much time I wasted on rewinding cassette tapes. 5. When you get a cellphone plan now, it usually includes everything. Like unlimited texting, unlimited minutes, and some data! But back in the day, it was a whole other story. Making a call required some strategic planning. Thankfully, not many people have to deal with it. Young kids will never know the struggle! And honestly, that's a struggle they don't need to go through. It's ridiculous. Let's never go back to those days. PLEASE! 6. I do, I do! My pockets were bulging all the time. 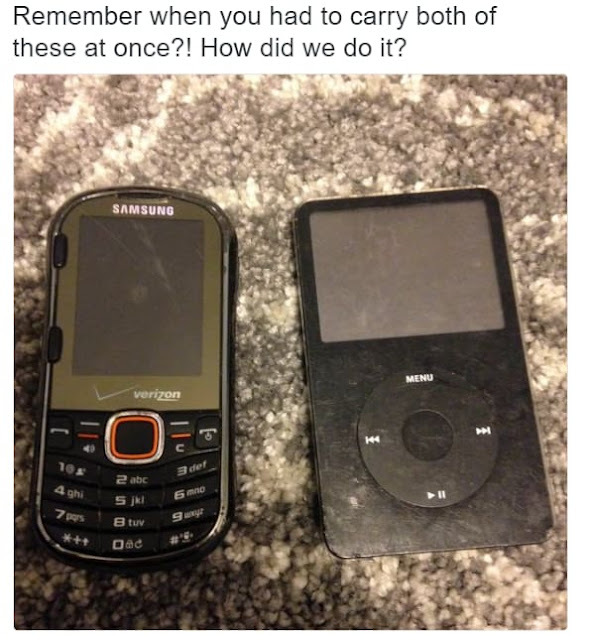 You needed the iPod; it's not like your phone could hold any songs. Could probably hold five songs, maximum. 7. When my dad broke this out, I knew that I would be having a great night. Also, Blockbuster was the place to be on a Friday. Rent out a couple of movies to watch over the weekend, and I guarantee you, it would be lit. I wonder if some people still owe Blockbuster late fees. 8. Those were the good old days! Now my phone loses its charge after five minutes. It's so annoying. I feel like I'm constantly charging my iPhone all the time. I don't want a Nokia phone, but I wish my phone had a Nokia battery life. 9. If your Nintendo or Playstation game didn't work, you knew what to do! All you had to do was blow, blow away. Now you were ready to have some fun! I literally did this all the time. It just became a habit, even when I didn't need to. 10. I have to say, one great thing about being alive today is that my pockets aren't continually stuffed with things. Because I don't think a CD player could fit into my jeans pockets. 11. These kids will never get a chance to slide the metal thing. And I feel so bad, because it was pretty fun to play with. RIP to floppy disks. They were harder to lose than USBs. But if you were born before 2000, you already know that downloading music was not easy at all. The amount of viruses my family computer got was kind of ridiculous. 13. Because of phones these days, this may never happen in class again. There was something about passing notes. Even though there might just be scribbles written down, they were so much fun to pass around. And the thrill of getting caught made it even more exciting! 14. RIP to this type of romance. Does anybody even do this anymore? So unfortunate! John Cusack set a very high standard, and I guess it's hard to measure up to this nowadays. 15. 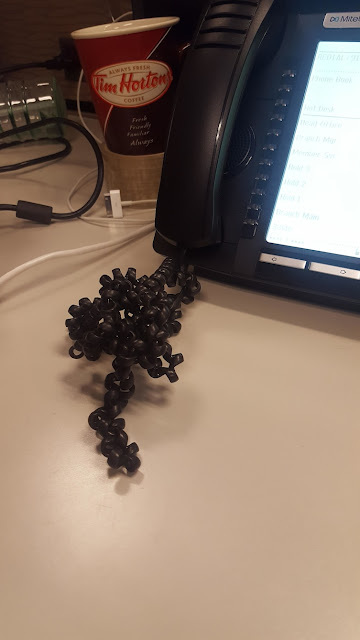 Trying to untangle an angry knot of phone cord. Or just pulling the whole base off the table when you answer it. Also, if you were mad at someone and wanted to hang up on them, this was the phone to do it on. That was dramatic. 16. That moment when you set up your VCR record and your show played back this madness. Um, what? THIS IS NOT THE SHOW I RECORDED. This would be such a devastating moment. Hope you can catch a rerun! 17. Sometimes I block some memories out of my head, and my parents following a map is one of those memories! It would take us forever to get to a destination because we would spend more than half our time getting lost. 18. Oh, the memories this brings back! This was my favorite MTV era. They actually played music like all the time! Shocking, I know. Kind of wish we could go back to this. 19. Okay, so I know they brought back French Toast Crunch recently, but for a while it was only a 90's thing! I guess 90's nostalgia finally won out! It's a powerful thing! 20. Ahh yes, the original. However, the finger balance bird required finesse and patience, unlike kids these days who just want to spin things fast! Oh god, do I sound old yet? What's your favorite '90s memory? Comment to let us know!